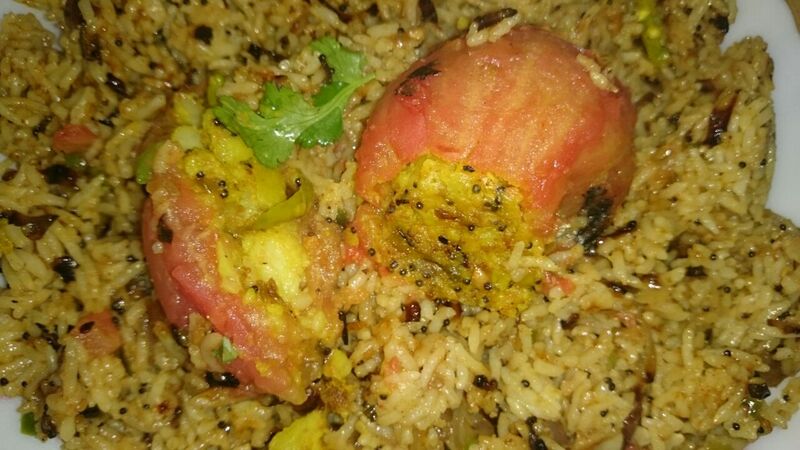 Stuffed Tomato : Take 2 large size #tomato , hollow it from inside and finely chop the inside material to be used in rice. Put a pan on flame, add 1 spoon oil, oil Mustard seeds, followed by Curry leaves , onion , chopped green chili. when this start turning light brown add turmeric powder, salt , coriander powder and red chili. Add mashed potatoes. 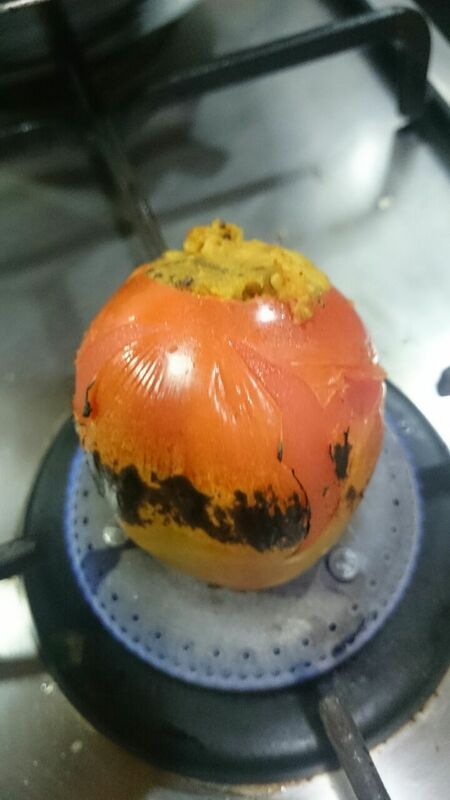 Now stuff this in the hollow tomato and put it on sim flame for 2 minutes. 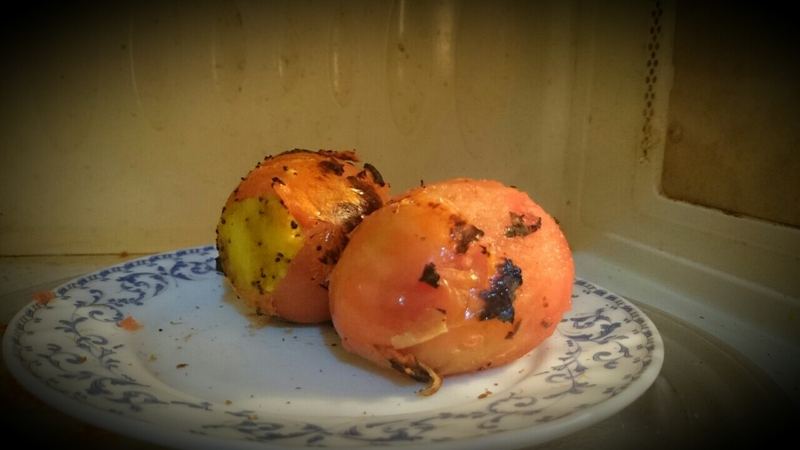 take it off the flame, peel it off and microwave for 2 minutes. Now your Stuffed tomatoes are ready to be served. Rice – Take 2 bowl of left over rice and microwave it for 2 minutes. 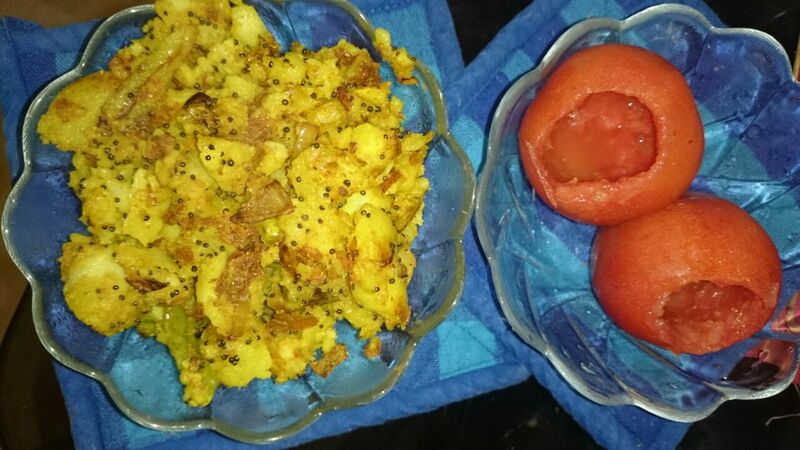 Take a non stick pan, add oil, when oil is ready add Cumin seeds , followed by Onion, finely chopped capsicum and beans, green chilly, let it turn brown and keep stirring.Now add rice with finely chopped left over of the tomatoes and mix it well. let it cook for 5-10 minutes. 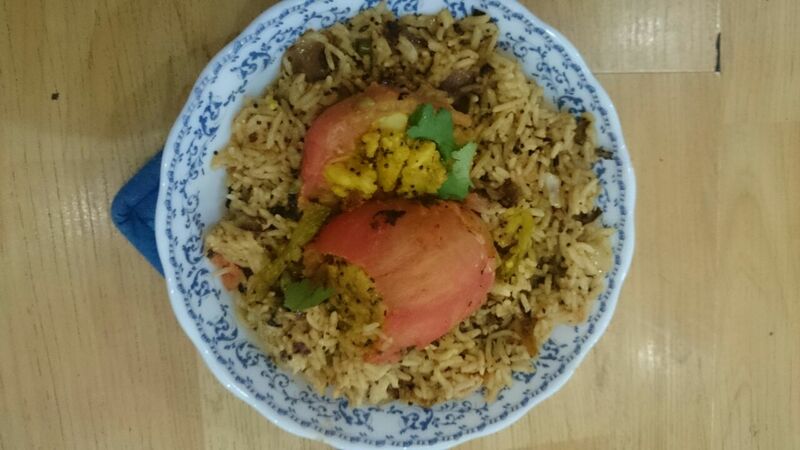 Serve rice with Stuffed potatoes as showed in pics, Garnish with coriander leaves.